Rossana Zotti always had her eyes set on becoming a doctor, but she changed gears to focus her undergraduate studies on mechanical engineering to give her an edge as a physician. Medicine has been a constant in Zotti’s life. While pregnant with her in Paraguay, Zotti’s mother was diagnosed with toxoplasmosis, a parasitic disease that could result in a baby being born with physical and intellectual disabilities. Zotti’s mother had difficulty finding a doctor to provide adequate health care during her pregnancy. Finally, a physician, whose daughter had been in a similar situation, agreed to treat her, and Zotti was born healthy. Growing up hearing about her mother’s prenatal experiences and the complications surrounding her birth, Zotti knew she wanted to be a doctor so other patients wouldn’t have to undergo similar struggles. This idea was reinforced in Zotti’s mind while watching her aunt, a dentist, treat underprivileged people in Paraguay as a kid. While in her magnet high school, Zotti was part of the biomedical program and graduated with five technical certifications, including EKG, CPR and first responder training. She also won first place in nationals at the Emergency Medical technician (EMT) Competition held by HOSA: Future Health Professionals in 2013. However, Zotti’s med school goals would take on a new focus when she went from aspiring doctor to patient two years later. After several leg-related complications, Zotti began a cycle of doctors’ visits and various prognoses. She was finally diagnosed with a limb length deformity, which required two complex surgeries to correct. She missed school and had to work through enormous amounts of pain, sometimes even study in the emergency room. She underwent pain management and intense physical therapy. Immersed in appointments with orthopedic surgeons, she decided she wanted to be an orthopedic surgeon herself, to make sure that one day she could help others like her. She began shadowing one of her doctors, Lee Kaplan. Sitting in on clinicals and watching surgeries, she became fascinated with the discipline, specifically with surgical instruments. “When I saw all the tools used in surgery, I was in awe… The bone saws, all the clamps. They are barbaric and beautiful. I wanted to understand their purpose. I wanted to use and improve on them,” she says. This desire led her to ask Kaplan how she could become the best orthopedic surgeon. Kaplan suggested that if she really wanted to understand every instrument, treatment and the orthopedic discipline, she should study engineering. “An engineering degree helps in medicine in many ways – diligent thought-processing, evaluation of the problem and solution development in many areas of the development of implants,” Kaplan says. Zotti heeded Kaplan’s advice and began pursuing her bachelor’s in mechanical engineering in 2015. She recalls starting her curriculum with Bilal El-Zahab’s thermodynamics class. Additionally, working with tools in the machine shop has also helped Zotti hone skills needed in surgery such as safety and having steady hands. Zotti also shadowed doctors at Nicklaus Children’s Hospital, among them, Dr. Alisa Muniz Crim, a pediatric gastroenterologist. During this time, she saw that just like in engineering, women are scarce in the field. “Having a female role model to look up to was so uplifting and empowering,” Zotti says. 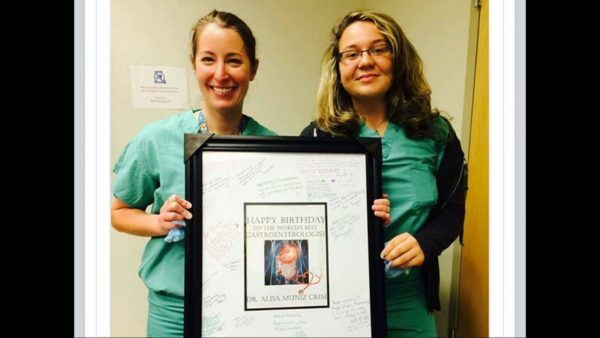 She also was captivated by the doctor’s warm bedside manner that brought her scared patients and their families comfort and feelings of safety. Not only was Zotti using her medical knowledge to tackle engineering, but she also began integrating engineering into her medical education. “I began to look at things differently. Limb injuries became problems about torsion and failure analysis,” she says. 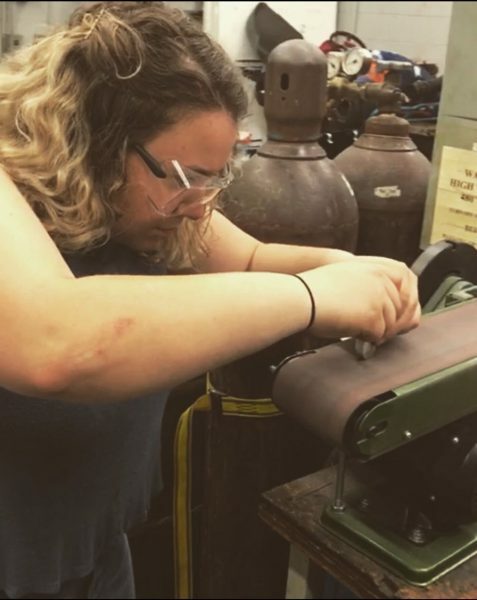 While shadowing Patrick Owens, also an orthopedic surgeon, Zotti said she is consistently applying the skills obtained in her mechanical engineering coursework. Zotti’s interdisciplinary understanding has not gone unnoticed. Currently, Zotti works as a research assistant at Mount Sinai Medical Center, testing orthopedic tools. She also likes to give back and is actively involved in numerous student organizations, works in soup kitchens and volunteers to help veterans and women at a shelter. She believes in empowering women; and through her volunteer work with the FIU chapter of the Society of Women Engineers, Zotti works with students to inspire a love of engineering through fun and hands-on projects.